Adventure with philosophy. Or philosophy with adventure. Your choice. I always feel uncertain writing about classics like Voltaire’s Candide. 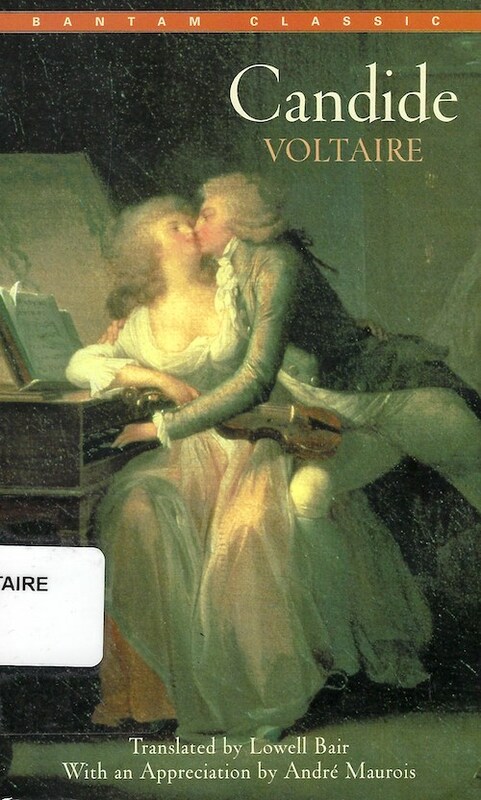 I mean, this was a book that was cited during the French Revolution in the 1790’s, and its influence is vast. Lots of thought has gone into Candide and its philosophy. But chances are good you probably haven’t read it. So a quick summary: this is a short adventure novel with a lot of action and a basic debate between optimism and pessimism. Should Candide be an optimist or a pessimist? But that makes it sound boring and it’s not. Like I said, there’s a lot of adventure and hi-jinks and you can read it as a straight adventure story that’s only about 100 pages long. You can choose to engage in it at your preferred level. And I liked that. I read it mostly as an adventure story – Candide does travel all over the world after all – but with some light philosophizing. Is it better to be a pessimist and never be let down? Or does optimism drive you to be better and do more? It’s not proscriptive; you get to decide for yourself. Recommended, because there’s not enough thinking about optimism in culture today.